''He said Somaliland – a stable region in turbulent Somalia – was an attractive investment destination, including in the field of higher education''. - The horn of Africa’s self-declared state of Somaliland may get its first foreign university by mid-2013, if plans by a private university in Kenya to open a branch campus there come to fruition. The rapidly expanding though relatively new Mount Kenya University, headquartered in Thika in central Kenya, is planning to open a campus in the Somaliland capital Hargeisa. Mount Kenya has been on an ambitious regional expansion trajectory barely 10 years after being founded, and has in the past year opened campuses in Kigali, Rwanda, and in Juba, the capital of South Sudan. The university also has a virtual campus in Nairobi. “Our goal is to take higher education to all those who need it in this region and beyond. Somaliland is part of our expansion programme,” said University Chair Simon Gicharu. 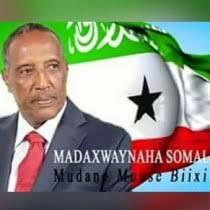 He said Somaliland – a stable region in turbulent Somalia – was an attractive investment destination, including in the field of higher education. “This is one place where we think we can succeed greatly if we open a campus of Mount Kenya, because the administration there is receptive to investment ideas and the thirst for education is very high,” Gicharu added. Somaliland broke away from Somalia after chaos erupted in the country 21 years ago, establishing its own thriving democracy and economy. But it has faced major hurdles in getting official recognition from the African Union, the United Nations and regional governments, which fear that recognising Somaliland as an independent state could spur breakaways of various Somalia regions and breed chaos. Currently, Somaliland is internationally recognised only as an autonomous region. Somaliland boasts of 14 tertiary institutions, many of them private and some offering degree courses. A fairly liberal state that holds regular elections, Somaliland actively encourages the education of girls under a moderate version of Islam and in the absence of the hardline Islamists that hold sway in the rest of Somalia. Mount Kenya University has been targeting areas that other Kenyan universities have shied away from, and recently opened a campus in the remote northern Kenyan town of Lodwar in Turkana, where there is a strong presence of South Sudanese refugees. Simon Gicharu said the campus targeted both the pastoralist community and the hundreds of refugees and aid workers operating from Kakuma refugee camp. Experts said the bold move into Somaliland was due to stiff competition in the East Africa region, mainly from Ugandan universities. “The Ugandan universities continue to be the most aggressive and attractive to students and parents throughout the region due, among other factors, to low fees,” said Dr Patrick Mbataru of Kenyatta University. “The room for expansion in East Africa is getting even more squeezed and universities must look further afield if they wish to grow,” he told University World News. Ugandan institutions such as Kampala International University and the universities of Busoga, Makerere and Kampala have emerged as regional expansion giants, establishing campuses across the entire region and partnering with local colleges. They have particularly taken advantage of the high cost of postgraduate studies to offer masters and PhD courses at affordable prices, attracting thousands of students who had abandoned hopes of pursuing their dreams because of the high fees charged by many institutions. With the region now “flooded" with post-secondary institutions, Mabatau said the new frontiers for expansion had become the new state of South Sudan, the stable Somalian states of Somaliland and Puntland – and Somalia itself, if it emerges from turmoil.